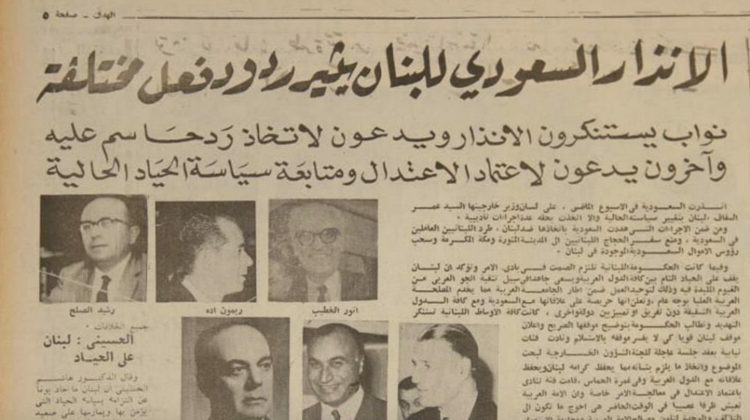 OldBeyrouth shared yesterday an excerpt from an article published in 1967 depicting the reactions of Lebanese officials following a Saudi warning. 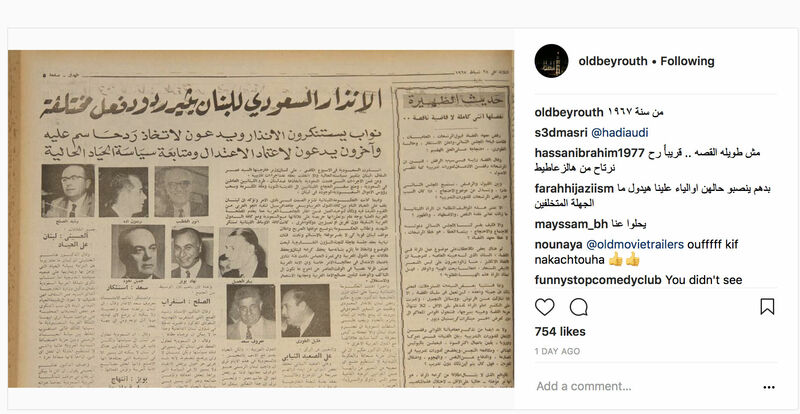 The warning apparently came after a Lebanese newspapers attacked the Kingdom but the Lebanese government issued an official statement back then refusing the warning and asking KSA to respect Lebanon’s stances, and added that they cannot forbid newspapers from sharing opinions as long as they abide by the set rules. Fifty years later, we’re being warned again and our PM was “forced” to resign in Saudi Arabia and is still there.